Caramel is my absolute weakness, my péché mignon. I'm always on the hunt for creamy and rich caramels. Even though I don't eat them every day, I like the idea of having a great selection around in case I feel the need to indulge. I am more than happy that my friends and family are aware of my passion for caramel. Therefore, when they travel abroad, they know exactly what to get me if they have a minute to shop around. 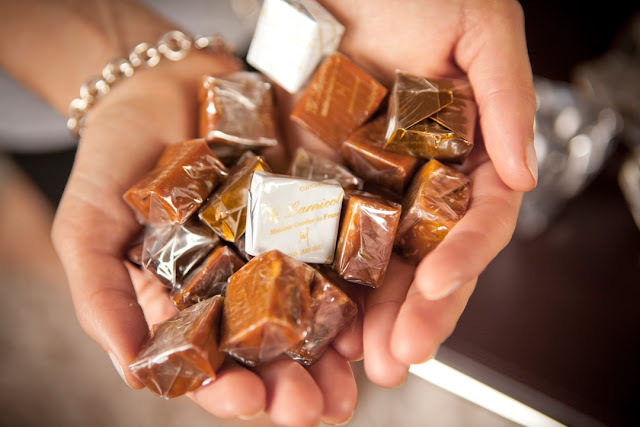 On his last trip to Paris, my dad brought me an assortment of delectable caramels made with the finest ingredients. They all came from the successful Breton chocolatier and pastry chef Georges Larnicol, who has been awarded the prestigious title "Meilleurs ouvrier de France" or Best Craftsmen of France, in recognition for his artisanal skills. Awarded for life, this unique title is the highest one for artisan-merchants in France and it is a symbol of excellence. 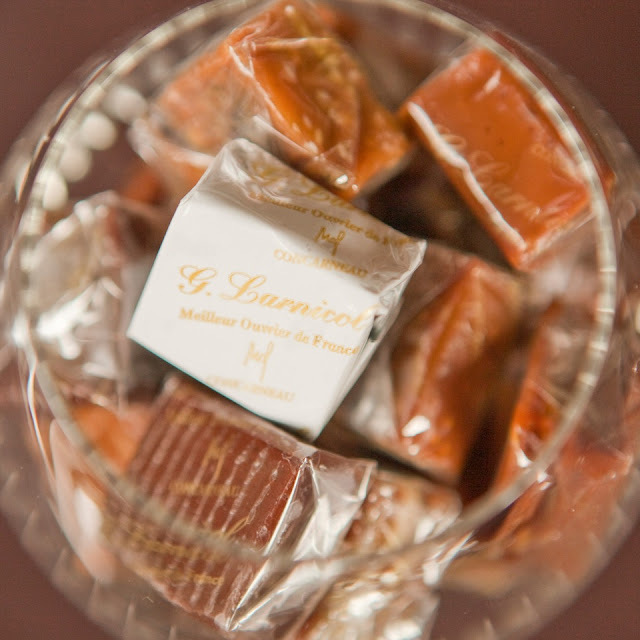 Packaged in a sleek transparent bag, the caramels from Maison Georges Larnicol are the ultimate luxury. Monsieur Georges lives up to his reputation by offering melt-in-your-mouth caramels flavored with chocolate, coffee, sesame and even with fruits. My favorite in the bag is undeniably the Fleur de sel one because it is smooth and buttery rich. A pure delight! Now, who is going to Paris anytime soon? Maison Georges Larnicol, 132 Boulevard Saint-Germain, 75006. 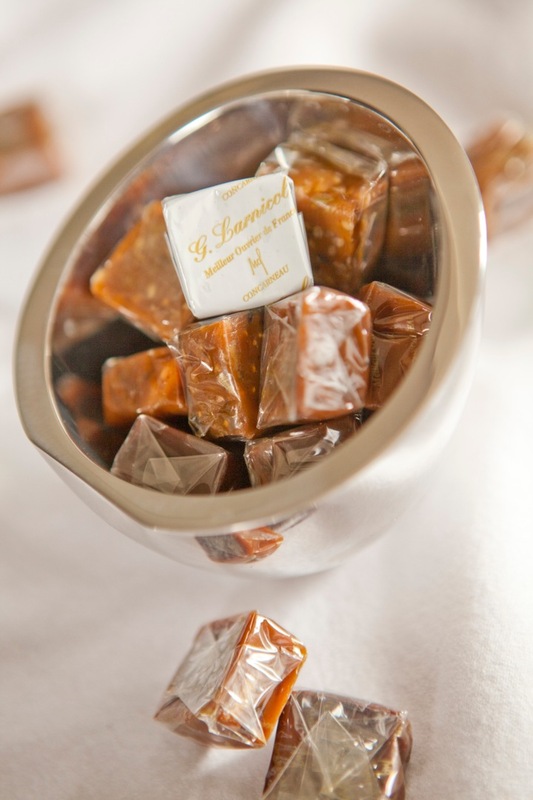 2 comments on "Caramels, But No Pearls..."
Hi, just found your blog! Soo nice, even though I am a handbag girl and you sound like a shoe girl:)Shall we follow eachother via blogger and facebook?